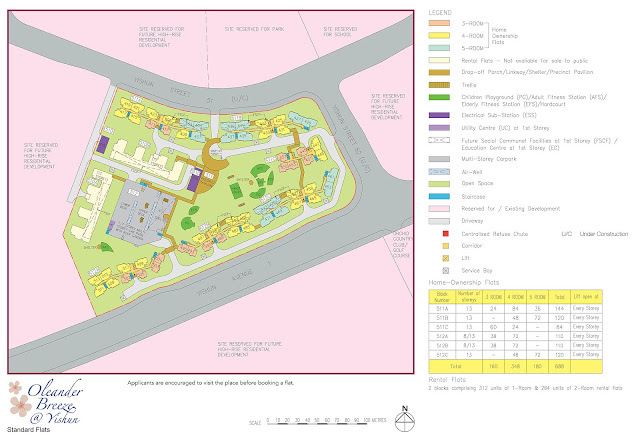 Although there will be future developments opposite Yishun Ave 1 - the plot ratio is 1.4, which means that they will most likely be low rise developments - higher level units will have breathtaking view of the Seletair Reservoir, if we take a similar 1.4 plot ratio development nearby - the Shaunessy - which is 4 level high. Although far from any MRT station, access to this site is pretty good with SLE just 3.6 km away. The new exit from Yishun Ave 1 to Seletar West Link is another alternative access to TPE (towards Changi at this moment). It will also be nearer to get to Punggol through Seletar North Link. Future expressway interchange currently under construction at meet points of CTE/SLE/TPE means you can access Yishun Ave 1 through Seleter West Link from CTE and TPE as well, apart from the current access from SLE. Of all the BTO, I would consider the internal layout to be the best of all. The bathrooms do not have weird layouts like the rest.